Human health and well-being are closely intertwined with the health of our environment. There are deep connections between public health and trees in particular, according to current research. This year’s seminar, “Healthy Trees, Healthy Communities,” will investigate common forest health issues faced by Washington communities and the resulting impacts on people who live within them. 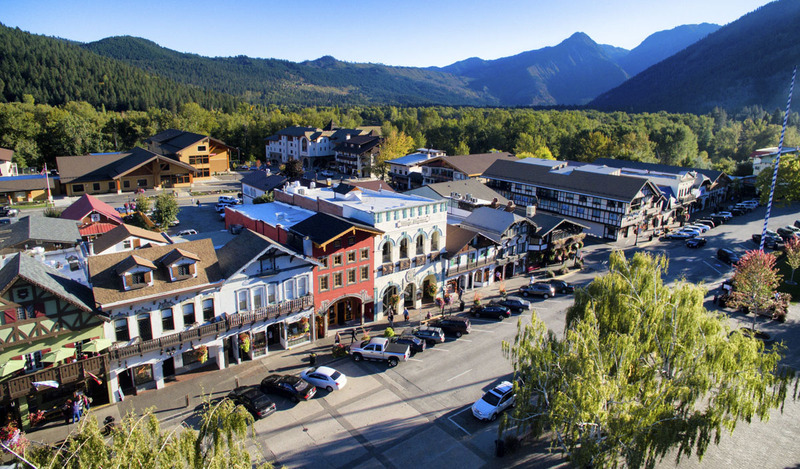 Downtown Leavenworth, Washington. Photo by Leavenworth Chamber of Commerce. This seminar, developed by the Washington State Department of Natural Resources Urban & Community Forestry Program, will focus on how to identify and manage threats to forest health for the sake of people living in urban, suburban, and wildland-urban interface communities. The seminar is free to attend; all are welcome. To reserve a seat at an upcoming seminar, please reply to urban_forestry@dnr.wa.gov no later than 4:00 p.m. on the last Friday prior to the seminar you wish to attend. Please indicate which seminar you will attend (see dates below) and include your name and the organization you represent, if applicable. Multiple reservations may be made in one message; please include all names in the body of the message. Registration is limited to 30 participants. Details including an agenda and parking information will be provided to registrants in the week prior to each seminar. Please forward this announcement to others in your area who might wish to attend. Spokane: Thursday, August 16, 8:30 a.m. – 12:00 p.m.
Vancouver: Thursday, August 30, 8:30 a.m. – 12:00 p.m.
Olympia: Thursday, September 20, 8:30 a.m. – 12:00 p.m.
Mount Vernon: Wednesday, October 10, 8:30 a.m. – 12:00 p.m.
Wenatchee: Thursday, October 25, 8:30 a.m. – 12:00 p.m.